There are many reasons to make a Will to decide who receives your estate after your death, or to make your wishes clear about funeral arrangements, alternatively you may want to save tax. Are in a relationship and unmarried or not in a registered civil partnership. Have children and are married or in a registered civil partnership but have assets in your sole name valued in excess of £250,000. Are you part of a step-family – the law isn’t always ‘family-friendly’. Want to protect certain beneficiaries or assets. Want your Executors to have the ability to manage your personal items without needing to rush to Court for immediate authority. Did you know High Court cases about estates have increased by 700% over the past 5 years? 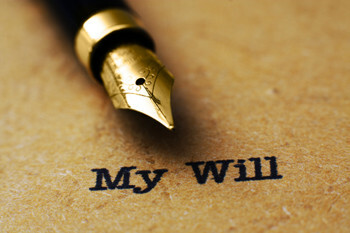 A Will is your last opportunity to connect with your family and friends. It’s your Will and it’s your way. The national Wills register keeps a record of the whereabouts of your Will, it's aptly named Certainty because it is exactly what it gives to you and your beneficiaries. We register all our Wills with Certainty so that our clients have proof of the whereabouts of their Wills. Please contact Trudy Rogers for further information or to receive a Will pack. We specialise in the creation of Mirror Wills; Wills for Second Families; Mutual Wills; Wills with Trusts; Inheritance Tax Efficient Wills; and Simple Wills; and reviewing your existing Will. We appreciate that a home or hospital visit may be more convenient, so please let us know.